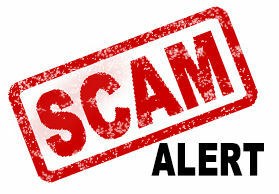 New Mexico Attorney General Hector Balderas has issued a scam alert warning New Mexicans that scammers are calling from phone numbers with “New Mexico State Government” listed on caller ID, trying to trick people into handing over their money. Tipsters reported to the NMAGO that they received calls from a 505 area code, a common Santa Fe prefix, and “New Mexico State Government” on the caller ID. When they answered the call, they received instructions to call a toll-free number, 1-800-847-2911. When tipsters called that number, they were connected to a purported “debt relief” company, “Credit Financial Solutions,” claiming to be in Orlando, Fla., and offering to reduce consumer credit card interest rates and payments. 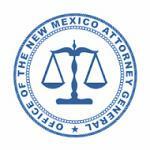 The Office of the Attorney General employs advocates to help consumers who encounter scams, faulty products and broken promises. Those who think they may have been scammed can file a complaint at the Attorney General’s website, www.nmag.gov, or call or toll-free statewide, 1-844-255-9210. Anyone receiving a scam robo-call is encouraged to register with the Federal Trade Commission’s national Do Not Call Registry. Once a phone number is registered there, callers must stop calling that number after 31 days. The FTC registry can be reached online at www.donotcall.gov.